Orphir and Stenness Church | Post Office returns to Orphir this week! 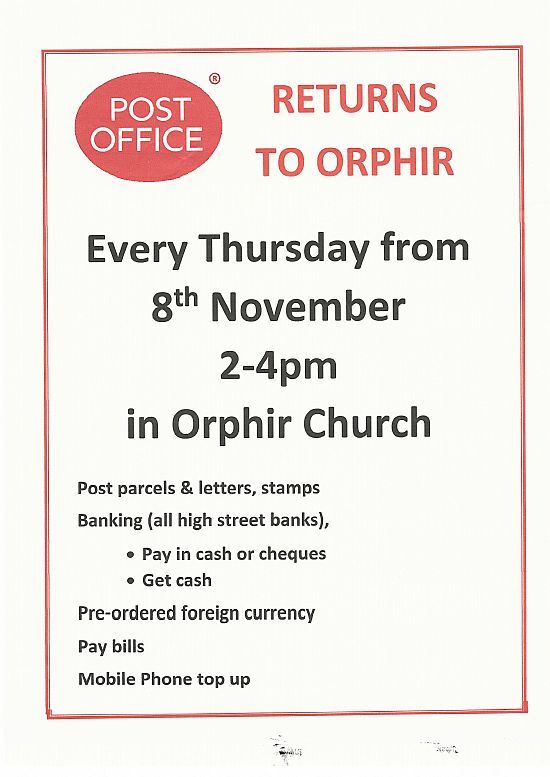 Post Office returns to Orphir this week! The Post Office will be opening this week in Orphir & Stenness Kirk hall.